The exercises suit everybody from active sportsmen to dancers and professional athletes. 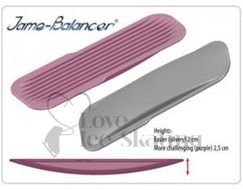 Jame-Balancer is suitable for everyone interested in improving their balance, improving strength, muscular health and good posture for your body. By using the balance improving Jame-Balancer you will stimulate the muscles in your feet. Step on the balancer with your toes facing the wider end and find a comfortable position prior to starting your exercises. When you use the Balancer you continually have to find your balance, which requires you to use your stabilizing core muscles, the abdominal and back muscles deep within. 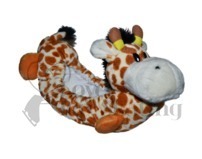 Training the deep muscles in your middle torso improves posture. 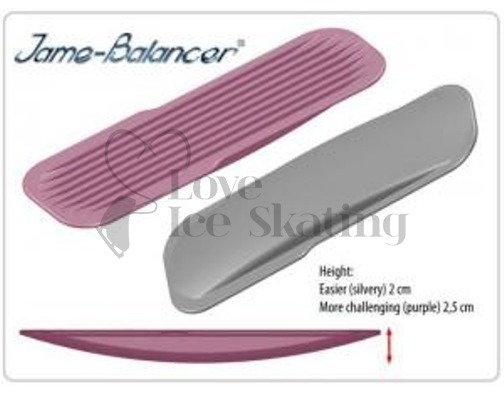 Available in two different designs - silver Jame 10 and Purple Jame 20. 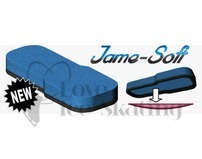 Jame-Soft is used on top of Jame-Balancer intensifies middle body control and muscle strength exercises. 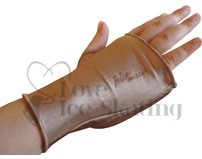 It is particularly beneficial for strengthening the small muscles in the foot and ankle.